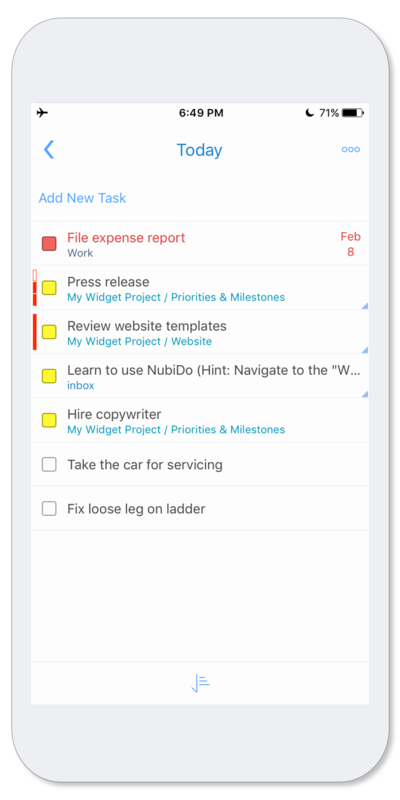 This release brings significant UI changes to NubiDo for the iPhone. In an effort to bring a consistent look and feel across all platforms, we’ve refreshed many of the screens with a clean new theme and added beautiful new popups for task editing which also reduces the number of taps needed for common operations. Fixed an issue that causes a list to sometimes jitter while scrolling. The Recurrence and Due Time selectors have been completely re-designed to offer a more natural and easier to use interface. Added two new project color options. Added new menu options to the task view for assigning Tags and Due Dates (iPad only). Added the Auto-Organize and Select-All menu options to the task view (iPad only). Fixed several other minor yet annoying bugs.